It’s appropriate for brands to make social statements, but it should be done very carefully. A brand can’t just hop onto a social issue; it must be very purposeful and sincere because, truthfully, it might work or it might fail. Pepsi's most recent move failed. 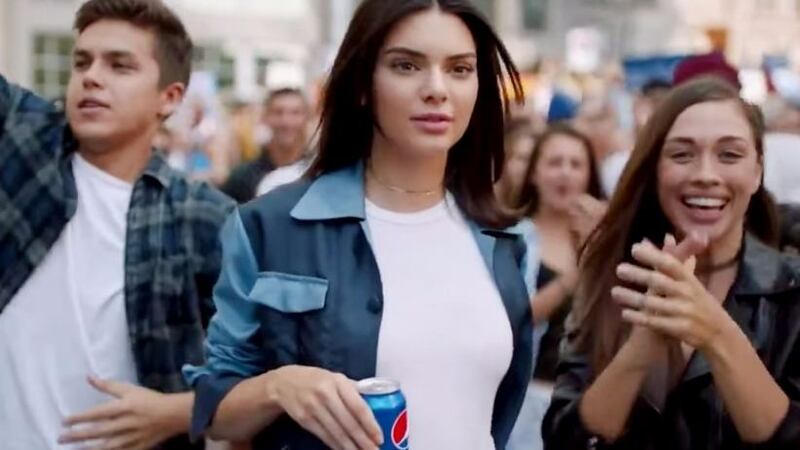 The backlash to Pepsi's new advertisement, in which Kendall Jennerturns a protest into a party by giving a police officer a Pepsi, was almost immediate. Thousands of people complained about the ad on social media, and Pepsi pulled the video from YouTube within one day. The brand underestimated the issue they were trying to tackle. While the ad was beautifully shot and wonderfully orchestrated with a celebrity model and some cool music, it appeared to make light of some very serious issues and implied those issues can all be solved by cracking open a can of soda. It was too beautiful and too orchestrated. Again: it's good for brands to take a stand on social issues. Showing you align with your customers' values is an effective way to be an engaging and valuable part of the community. But you have to tread purposefully. Make sure you ask yourself these key questions before you dive in. Taking a side or even just simply presenting a social issue is bound to alienate a portion of the population that doesn’t agree. So, make sure you really understand the portion that does agree and what they value. Do a lot of homework and talk to a lot of people. If you want to join them in their point of view, then you better dissect it well in advance. Know where they are coming from and what they’d like to accomplish. Do you value those same things and can you sincerely tie them to your brand? Make sure the issues most important to your customers are authentically your views as well. You can’t make up a point of view just to sell product. Your customers and especially those who don’t agree will see right through it. Ask yourself how the issue relates to the business you are in. If there’s no connection, you might have no right to comment. But if it affects your business, it might not just be a right but a duty to speak up. Only then will you be respected for it. Can you legitimately help with the issue? Is there something your brand can really do to help? Recognize that no brand can solve any significant social issue alone, so just figure out how to help. Don’t use hyperbole and don’t underestimate the severity of the solution. Instead, showcase the status of the problem and the complexity of the solution. Then join in the effort to help, but don’t promise to make it all go away. You can't, and no one will believe you if you say you can. Pepsi is a case in point. Feel free to join in the effort to fight for something you and your customers believe in. Your customers are increasingly expecting you to do so -- but only in the most authentic, sincere and productive ways.